Beginning about a week before the shoot, the forecast kept calling on and off for rain. Checking in with Lisa and Krishna every few days, and then the night before, the call was made to go ahead regardless of the weather. The morning of that shoot while driving, the partly cloudy day that we were supposed to be having was anything that – it was misting, occasionally full blown rain. At this point, we were slightly worried that our dreamy sunrise shoot that was carefully planned would indeed get rained out along with the ideas we had for the shoot. As huge advocates of ‘Weather is just one element of the day’ which really translates to pay it no mind and have fun, for once we were nervous. We’d chatted with Lisa only over the phone and wanted to have the very best shoot, along with those stellar photographs that she saw and found us through. So we crossed our fingers and smiled at each other while waiting and mapping out alternate shooting methods. The minute we saw Lisa and Krishna walking on the bridge with the widest smiles and cheeriest faces, our fear instantly melted into the drizzle that was then happening. One look at Lisa and it’s hard not to be totally affected by her cheery demeanor and embrace it all mentality. 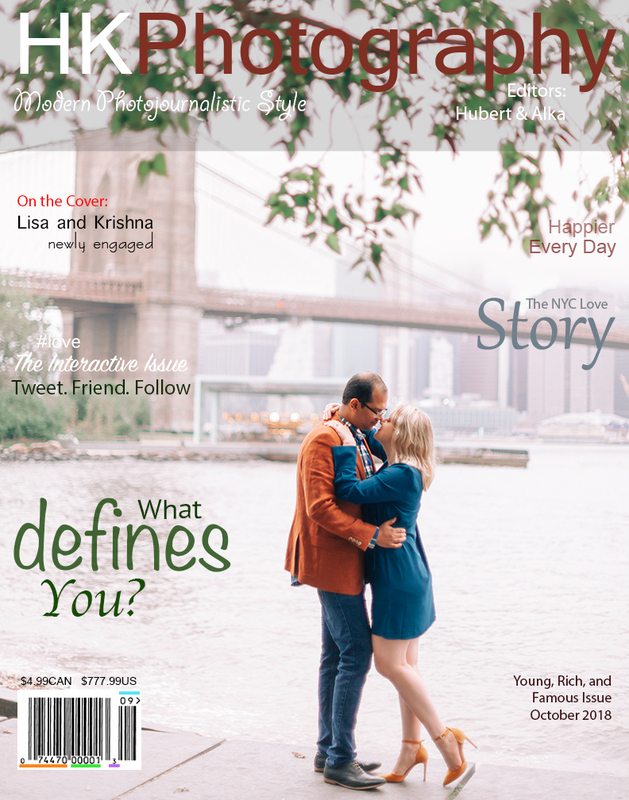 Krishna and she together were the sweetest, loving, and very much excited about their engagement shoot. They brought that ‘who cares about weather?’ message on their shoulders and it really sunk in. Going back, there is nothing about this shoot that was short of fantastic. Everything from the attire, to the exhilaration of being on the bridge as the world awakens around you to the weather (yes, weather!) made it memorable for so many right reasons. We met a couple who was bubbly, sweet, and so much fun to capture. Listening to their story and their wedding plans brought back sweet memories of our own time so many years ago. And most importantly, they reinforced that every other detail is secondary to the subjects you’re capturing. Lisa and Krishna, thank you guys for everything! For entrusting us, for rocking it out in the rain, and for reinforcing this message! We are sending a world of happy vibes and well wishes your way – Congratulations to you once again!